You are here: Home / Nutrition & Cancer / Nutritional Status: Can it Predict Quality of Life Outcomes in Cancer Patients? The 2012 article by Lis, Gupta, Lammersfeld, Markman, & Vashi (2012), which was published in Nutrition Journal, indicates that up to 80 percent of cancer patients are malnourished. This may be the result of several different cancer-related conditions, including decreased dietary intake, cachexia and treatment-induced side effects. In the study, researchers compared the results of these nutritional status assessments with results of QoL questionnaires. For several different cancer groups, the researchers found a correlation between certain dietary conditions and QoL outcomes. All six head and neck cancer studies included within the analysis indicated that better nutrition, was positively associated with better quality of life. They also found that difficulty swallowing –a common side effect of radiation therapy aimed at the head or neck – was likely to cause muscle function loss. This ultimately led to more weight loss, which negatively impacted quality of life. Eight gastrointestinal cancer studies determined that losing less than 20 percent of original body mass index or less than 10 percent of body weight over a six-month period was positively associated with a better quality of life. A single lung cancer study was included in the review, and it yielded a similar outcome. Patients with inoperable stage III and IV lung cancer were categorized as either weight-losing or weight-stable. The weight-stable patients reported less fatigue and pain than the patients who lost more than 5 percent of their body weight. Weight-stable patients also reported a better overall quality of life at the end of the study. Even when the dietitians who evaluated the patients could not determine whether insufficient food intake, weight loss or quality of life reductions came first, they still maintained that the three variables are interdependent. Only one of the 26 studies reviewed in the article did not find an association between nutritional status and quality of life outcomes in cancer patients. France. Programme national nutrition santé́. (n.d.). 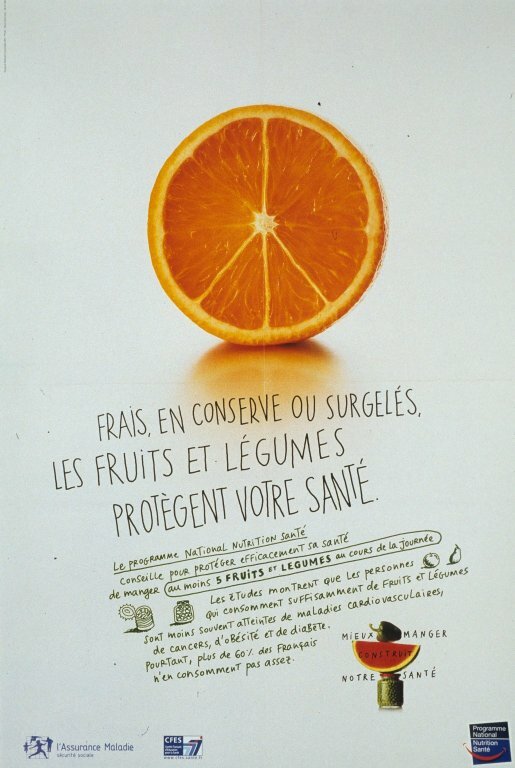 Frais, en conserve ou surgelés, les fruits et légumes protègent votre santé. Retrieved from Images from the History of Medicine (NLM) website at http://www.nlm.nih.gov/hmd/ihm/. MLA: Franz, F. ” Nutritional Status: Can it Predict Quality of Life Outcomes in Cancer Patients?” The Alternative Medicine Blog. The Alternative Medicine Blog. 23 July. 2012. Web. Insert your date of access here.